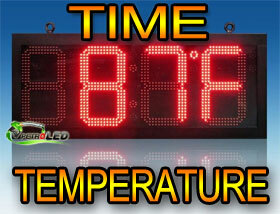 Add LED Gas Price signs to your existing canopy fas & easy. 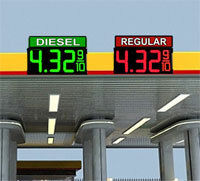 Add a Cash/Credit Signs to any of our GAS Price signs! Great addition to any sign! 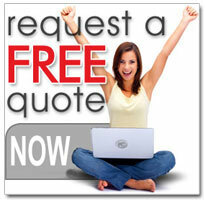 Get your customized quote within minutes. Great for Trade shows too. Save money with LED lights! Learn more with our product videos. This Limited Warranty applies to new Petro LED Gas Signs for normal use. Petro LED Gas Signs warrants that a covered product is free from defects in materials and workmanship, with the exceptions stated below. How long does limited warranty coverage last? This limited warranty lasts for 5 years. A valid proof of purchase may be required to prove eligibility. If you do not have a valid proof of purchase, the limited warranty period will be measured from the date of sale from Petro LED Gas Signs’ records. The limited warranty does not cover damage resulting from misuse, accident, modification or alteration to hardware or software, tampering, unsuitable physical or operating environment beyond product specifications, improper maintenance, or failure caused by a product for which Petro LED Gas Signs is not responsible. There is no warranty of uninterrupted or error-free operation. There is no warranty for product with removed or altered identification labels. PETRO LEDGAS SIGNS DOES NOT PROVIDE ANY OTHER WARRANTIES OF ANY KIND, INCLUDING, BUT NOT LIMITED TO, THE IMPLIED WARRANTIES OR CONDITIONS OF MERCHANTABILITY AND FITNESS FOR A PARTICULAR PURPOSE. SOME JURISDICTIONS DO NOT ALLOW THE LIMITATION OF IMPLIED WARRANTIES, SO THIS LIMITATION MAY NOT APPLY TO YOU. Petro LED is not responsible for returning to you product which is not covered by this limited warranty. If you are having trouble with a product, before seeking limited warranty service, first follow the troubleshooting procedures that Petro LED Gas Signs provides. To obtain limited warranty service, you must first obtain a Return Materials Authorization and ship-to address by contacting the Petro LED Gas Signs office listed on our website. Packaging guidelines can also be found on our website You must pay any associated transportation charges, duties and insurance in shipping the sign to our logistics center. What will Petro LED do? Petro LED Gas Signs will replace the defective sign with a functionally equivalent replacement product, transportation prepaid. 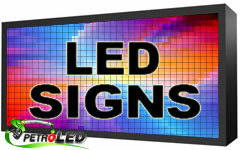 Petro LED Gas Signs may replace your product with a product that was previously used, repaired and tested to meet Petro LED Gas Signs specifications. You receive title to the replaced product at delivery to carrier at Petro LED Gas Signs shipping point. Petro LED Gas Signs warrants that the replaced products are covered for the remainder of the original product warranty or 90 days, whichever is greater. How is our liability limited? PETRO LEDGAS SIGNS AND ITS AFFILIATES, SUPPLIERS, DISTRIBUTORS, AND RESELLERS ARE NOT LIABLE FOR ANY OF THE FOLLOWING: 1) THIRD-PARTY CLAIMS AGAINST YOU FOR DAMAGES (OTHER THAN BODILY INJURY INCLUDING DEATH AND TANGIBLE PERSONAL PROPERTY; 2) LOSS OF, OR DAMAGE TO, YOUR DATA; OR 3) SPECIAL, INCIDENTAL, OR INDIRECT DAMAGES OR FOR ANY ECONOMIC CONSEQUENTIAL DAMAGES (INCLUDING LOST PROFITS OR SAVINGS), EVEN IF INFORMED OF THE POSSIBILITY. SOME JURISDICTIONS DO NOT ALLOW LIMITATION OF LIABILITY, INCIDENTAL DAMAGES, OR CONSEQUENTIAL DAMAGES, SO THE ABOVE LIMITATIONS MAY NOT APPLY TO YOU. How do local laws apply? THIS LIMITED WARRANTY GIVES YOU SPECIFIC LEGAL RIGHTS, AND YOU MAY ALSO HAVE OTHER RIGHTS WHICH VARY FROM JURISDICTION TO JURISDICTION. Copyright 2013 Petro LED. All rights reserved.